Posing with sunflowers, picking organic vegetables, and cycling tour are some highlights at Phutawen Farm in Lao PDR. 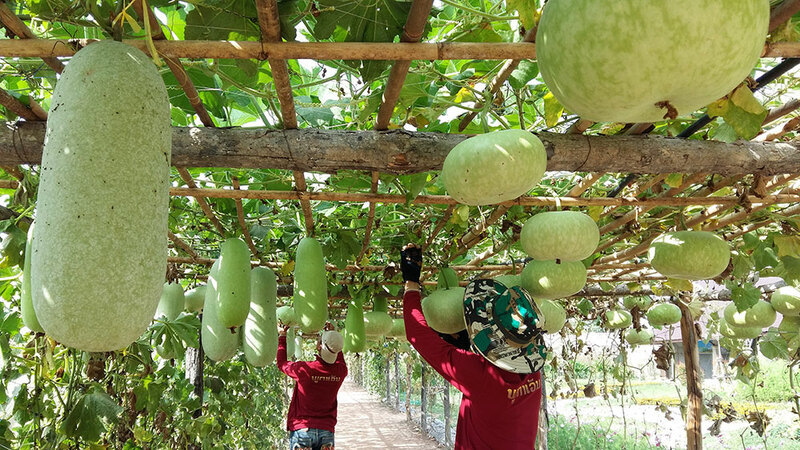 Situated in Ban Hai Village in Pak-ngum District, a 90-minute drive from the Vientiane Capital, Phutawen or the Hill of Sunflower, aims to be a model to promote sustainable food production and agro-tourism across Lao PDR. “We would like to create a model farm that benefits local community and Lao’s agricultural sector,” said Ms Dalounny Douangpaseuth, Vice President of DPS Group, founder of Phutawen. “Due to our [construction] business, we have chances to travel to different parts of the country and seen a lot of empty land which the owners have no clue what to do to generate an income from the land. DPS Group started its farm business in 2012. 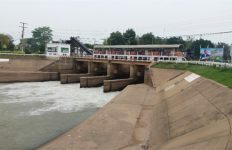 The first two years were spent on research, feasibility study, and analysis, deriving the present Phutawen Farm, which combines sustainable agriculture, business, and tourism together. 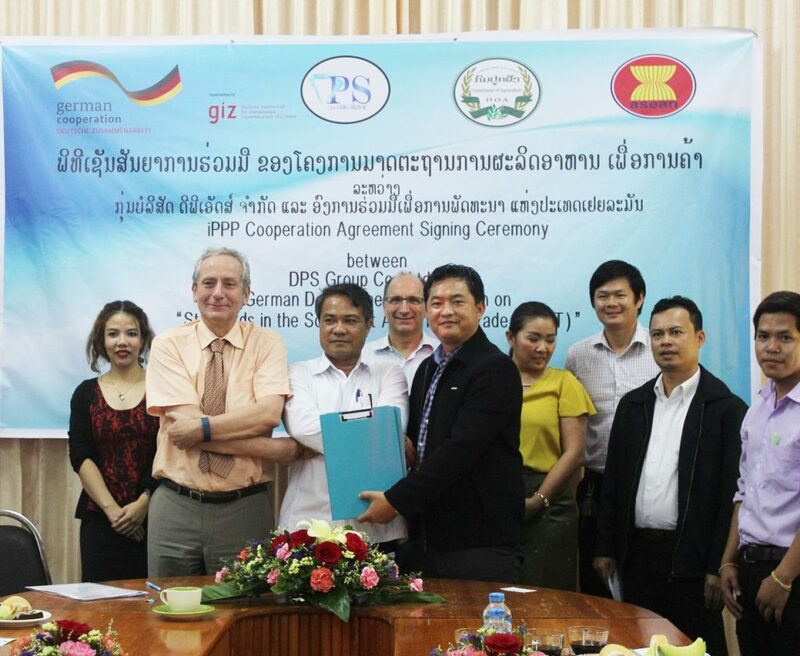 In 2016, DPS Group’s Phutawen Farm Project entered into cooperation with the GIZ-ASEAN project Standards in the Southeast Asian Food Trade (SAFT). The integrated Public-Private Partnership (iPPP) contract was signed by DPS Group and GIZ on 30 September 2016. Under the collaboration with GIZ, DPS will verifiably apply Good Agricultural Practices (GAP) standards for the fruits and vegetables production farm, and the Lao Organic standard for the rice and field crops farm. Regional market linkages as well as farmer and consumer awareness will also be strengthened in the process. “We have seen many supports to agricultural sector in Lao PDR coming from international donors. However, the beneficiaries [farmers] were not able to continue after the project faded out,” said the Vice President of DPS Group. Agriculture is a key sector for Lao PDR. Around 75 per cent of population is engaged in Agriculture. However, the sector in general is still considered underdeveloped and income generation is relatively low. “Currently, agricultural and food products that comply with certain food standards are rarely available or limited. Through food standards, it can ensure that food we consume is safe. Therefore, we would like to start from our farm first to produce quality products that comply with national and regional food standards and to be the showcase that other farmers and companies can learn. “In general, local consumers are not aware of the importance of food standards and that we need to educate them and raise their awareness,” Ms. Douangpaseuth said. With the support from GIZ, different experts have been invited to the farm. 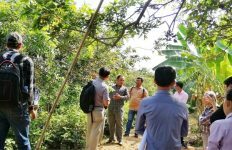 One expert from Kasetsart University, Thailand, who specializes on Good Agricultural Practices (GAP), conducted a training on GAP standard for farm staffs in November 2016. Recommendations on how to make improvements to comply with GAP were also provided by her. 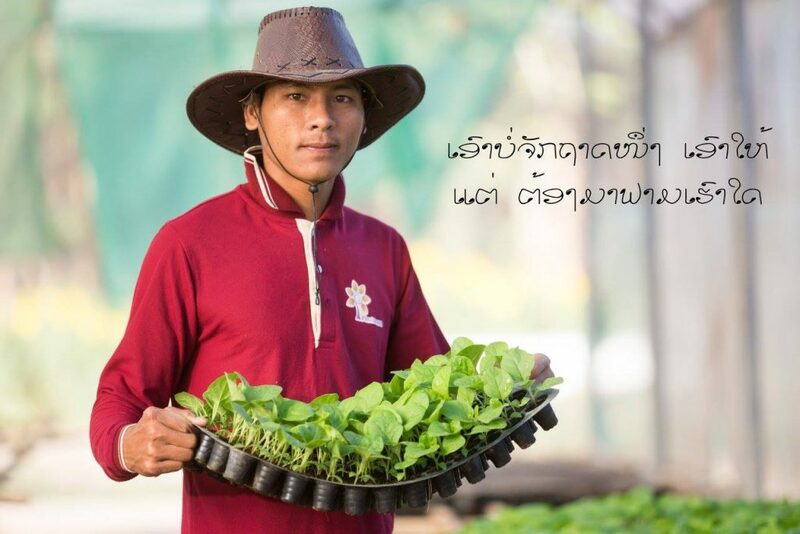 The farm has also been supported by two other experts with experience working with the Royal Project Thailand on the two main topics; plant production and pre-and-post-harvest handling. Both on-the-job trainings and in class trainings were conducted at the farm to train farm staffs as well as university students. 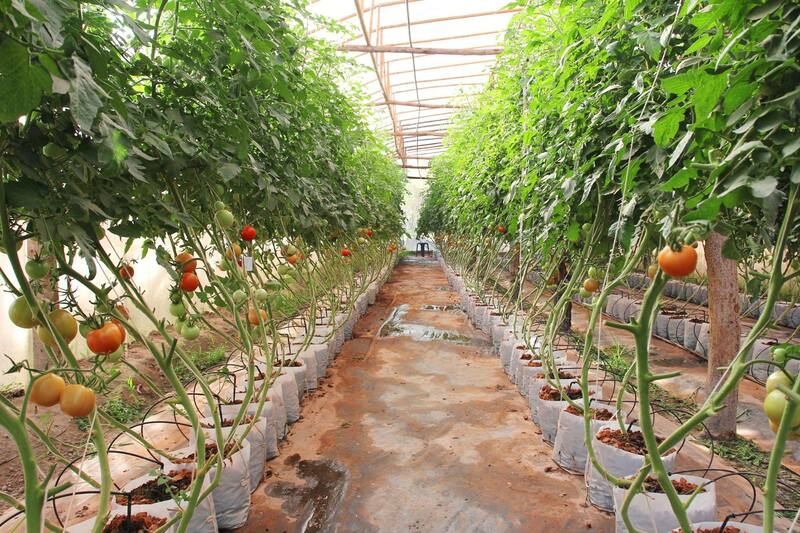 They learned about plant production, plant production planning in greenhouses, plant propagation, proper chemical usage, integrated pest management, pre-and post-harvest management, how to reduce postharvest losses, quality production and quality management. 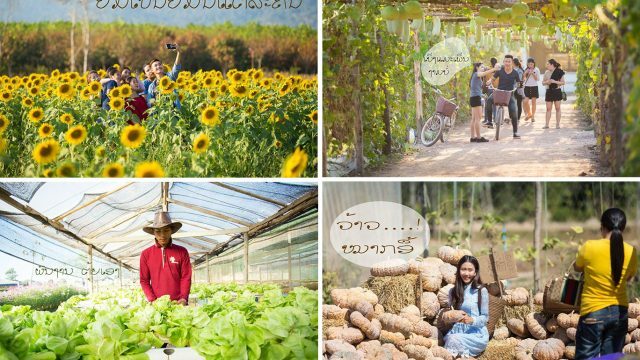 Phutawen Farm opens to public on weekends. For a weekday field visit, it needs to be booked in advance. Activities include farm tours, cycling, and camping. 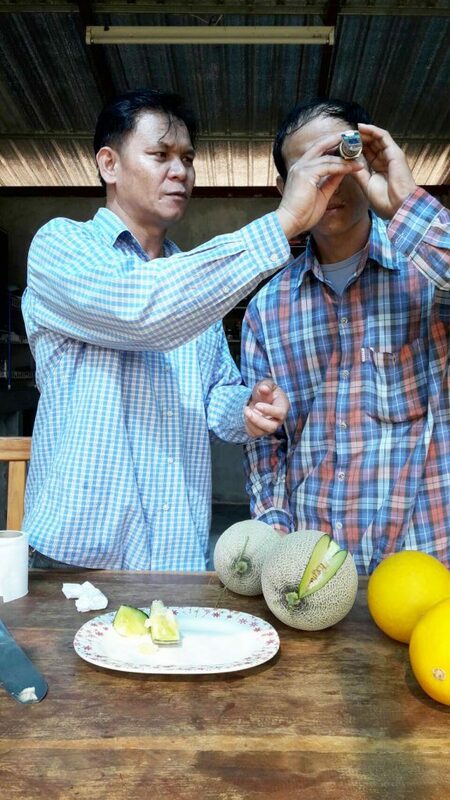 Visitors could enjoy a combination of agriculture and nature as watching blooming of sunflowers and cosmos fields, as well as picking and buying fresh vegetables, for example, tomatoes, leafy salad vegetable, and cucumber. We thank all the different organizations such as ADB, GIZ, Department of Tourism Promotion, District Agricultural Office, Agricultural Office of Vientiane Capital, Borikamxay Provincial Office, regional and international experts, among many others, for their continuous support and a shared vision for this farm. 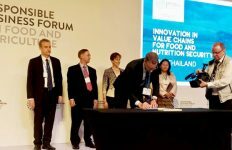 Southeast Asian Food Trade is a partner project of ASEAN Sustainable Agrifood Systems.